Are you changing or transforming? Ask a life coach! Are you ch. . .
"Change" is a shift from state “A" to “B.” It is “externally” influenced and directly impacts the result. Eg. : Due to changing customer preferences of a product, we had to change the marketing strategy. "Transform – is an “internally” influenced improvement, which enhances the value of the current state. Eg. : A group of people in the marketing team decided to implement certain processes, which could make the marketing strategy more effective. Even I was for a long time, as people around use these words interchangeably, without even realizing how the other person would think or act. In a feedback session, the manager gives “Mr. X” feedback that you got to change your style of interacting with customers, as it leaves them with a negative impact. “Mr. X” comes back thinking what’s that he needs to change so that he can incorporate the feedback. Still in illusion, “Mr. X” reaches out to his manager asking for help on specifics on what he needs to change. You still haven’t got an answer, right? What do you need to do – change or transform? I have come across couples who could not sustain their relationship as they both were expecting the other person to change – "when we both love each other, why is it difficult for you to change for me" – is what both said to each other. "Change is constant" – this is what everyone accepts and talks about – and it appears that I’m just surrounded by change only – everyone around me is expecting to change and I just don’t want to do it for anyone. When you strongly feel that something about you needs to get better this is when you are transforming, and not changing. Every day brings in change – and we accept it with ease, as we have been experiencing this change since we were born – it’s stored in our subconscious mind as a fact that this change cannot be influenced. A change, which doesn’t create discomfort and/or is naturally driven, is an acceptable change. Anything, which you have been following for years and is stored in your subconscious mind, is acceptable. Why would you resist change? We are naturally programmed to reject anything which is unknown. You tend to reject change (unknown) or impact of change (unknown). Most of the time, you reject changes as it forces you to step out of your comfort zone. 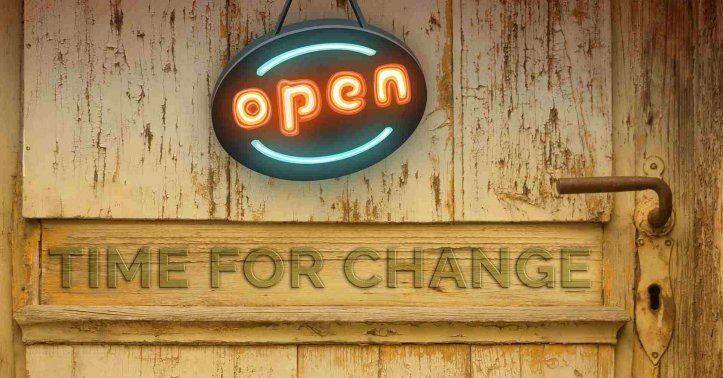 What you can do to accept a change? Every time you experience a change or expected to change something, you need to first assess how the change is going to support you on the larger purpose of your life. For example, you got a feedback that you should work on building healthy relationships with your peers. And your larger purpose is to be a leader of a “Product” organization. Working on the feedback of making some changes in your relationship management will surely support you on the larger purpose - which is to become an acceptable leader. Reject a change, which will not support you for the purpose. That will help you focus your energies on important things in your life as well as keep you motivated. Do you choose to transform? Transformation is driven by your subconscious mind and instinct. It is a powerful experience which leads to a strong desire of enhancing yourself as an individual from within. Self-reflection is one of the processes, which leads you to a state of experiencing transformation. A life coach helps you transform in order to accept change at ease. Change is inevitable as you can’t influence the external environment, however, transformation is self-driven and more powerful. Life is a beautiful journey. Live it with passion and nurture it with love. I am sure you are ready to experience transformation and influence your life as well as others who will be supporting you on your purpose.